Under primary school children are free. Koyo Okada devoted his whole life to photographing Mt.Fuji. 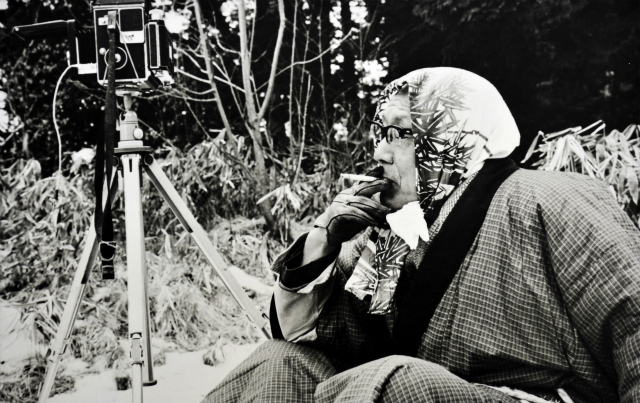 He used to be photographing Mt.Fuji, wearing wadded kimono from his favorite Japanese style hotel, and neighbors called him ‘ Koyo-san’ with intimacy. He was born in Uonuma of Nigata prefecture, and his great-grandfather, grandfather, and father were artists. He got interested in taking photos when he was in Waseda University, and he met Mt.Fuji seen from Oshino village when he was 21 years old. Since that time, the relationship with Mt.Fuji of more than 50 years had started. In the museum, there are a camera which he used for real, and the photo book that the cover was designed by the famous artist Taikan Yokoyama who was a close friend of Koyo. The life of Japanese people of those days with Mt.Fuji and the rural scenery at the foot of Mt.Fuji,which are in the picture, reminds us of the time and nature which Japan is losing. You should absolutely go to see his photos. Drawing letter is perfect for telling what you want and seasonal greeting. Koike Kuniko originally started the Drawing Letter, which are loved many people. The museum of the founder of the drawing letter, Koike Kunio, is in Oshino village. 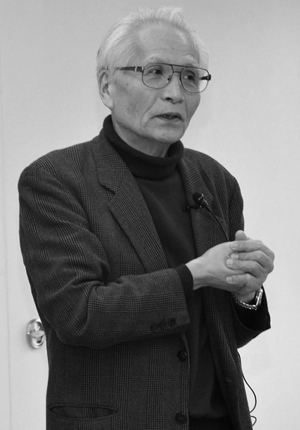 He was born in Matsuyama and learned calligraphy in the University of Tokyogakugei. The drawing letter which had been being sent to his friends from Junior High school are preserved and displayed in the museum. You will see the story of a large number of the drawing letters, and know how his style was created, which are very interesting. Koike encountered the editor of ‘Quarterly Magazine GINKA’, and he started to work on 60,000 drawing letters in his own handwriting as the bind-in project, which became a popular topic at that time. At the memorial room of Koike Kunio in the museum, the drawings of the antique dolls, and calligraphy are displayed, and the drawing letter set is on sale.